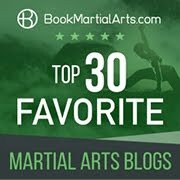 Four years ago, almost to the day, I wrote an article about the function of stances in traditional martial arts. At the time I was pleased to see that my piece met with a fairly universal positive reaction in traditional martial circles - regardless of style. You have a forward (or bow) stance, a reverse stance, a cat stance, a horse stance, a twisted stance and, from southern China and Okinawa, "sanzhan/sanchin" - an hourglass stance. While there are a host of other less common stances, for the most part these constitute nothing more than minor variations of, or transitions between, the previously-mentioned stances. But what if there were a stance that seemingly "bucked the trend"? What if there were a stance in one system that appeared pretty much out of kilter with all other traditional fighting arts? What would this say about the stance - and indeed the system itself? As it happens there is such a beast - and it comes from what is arguably the oldest of the Asian unarmed fighting arts - xingyiquan. 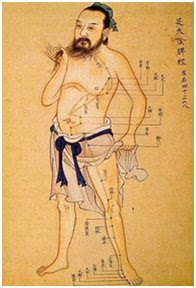 The stance is, of course, the stance commonly known as "san ti shi" (三體勢 - literally "three bodies power/force"), depicted in the adjacent picture. I tend to reserve the term "san ti shi" for more than just the stance: I use it to mean the entire posture found in the first element of xingyiquan - namely pi quan (splitting fist). This posture covers more than just the feet and weight distribution; it also covers a very particular placement of the head and hands, as well as a particular angle of the torso. I was first introduced to the san ti shi posture in 1996 when I started studying xingyiquan with my teacher, Bob Davies. He was over on one of his visits and our hectic training schedule meant that we continued training until late into the night to make the most of the limited time. 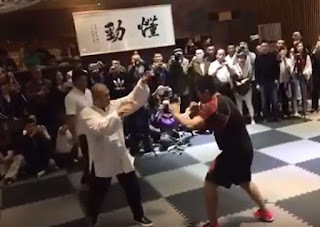 It was about 11 pm on his final night when he introduced san ti shi: he explained that it was a principal zhan zhuang (standing post training) posture (as I see is noted in by Wikipedia). He had us hold it for an hour on each side - with constant corrections. That is how I got "acquainted" with san ti shi! So what might we call the stance that underpins san ti shi? My instructor referred to it as the "battle step" - zhan bu (戰步). This is by no means a popular term amongst martial artists. In particular, I doubt it is used generally by students of xingyiquan and other internal artists. I suspect many have never heard this term. Even if they have, I doubt that many students of xingyiquan use it. Most xingyi students I know refer to "san ti shi" because they find a great deal of philosophical meaning in the latter term. However I personally like having a term that isolates the stance - especially since it occurs in a variety of techniques in the forms I study, both in xingyiquan and hybrid external/internal forms (in particular the "bridging forms" of Hong Yi Xiang) without the other elements of san ti shi (as I understand them). Master Tang went on to express the view that unarmed systems of combat, as we know them today (and I assumed he meant the wushu/striking type arts with forms), probably only originated around 200-300 years ago. In other words, before that time martial arts in China consisted of practical practice with weapons (as was the trend in the rest of the world, eg. in Europe). For some reason, a couple of hundred years ago something in the broader Chinese culture - a particular zeitgeist - gave rise to the kinds of martial arts we come to associate with China today; form-based systems that cover striking, blocking and qin-na (locking/grappling/throwing) applications. In other words Master Tang was of the view that what we know as the unarmed fighting arts of China descended from pure weapons systems. And while he was clear that he didn't think that xingyiquan was the progenitor of all modern quan fa in China, he did acknowledge it as one of the oldest unarmed martial arts - dating from around the time such systems evolved from their armed ancestors. Indeed, if you look at the 5 elements of xingyiquan, I think you can still see how an attempt was being made to translate the physical form of using a weapon to the empty hand - ranging from a chopping blow of a two-handed sabre or halberd (pi quan), the piercing thrust of a straight sword (zuan quan), the heavy thrust of a spear (beng quan), the use of a cannon (pao quan) and the overhand curving thrust of any number of sharp weapons (heng quan). 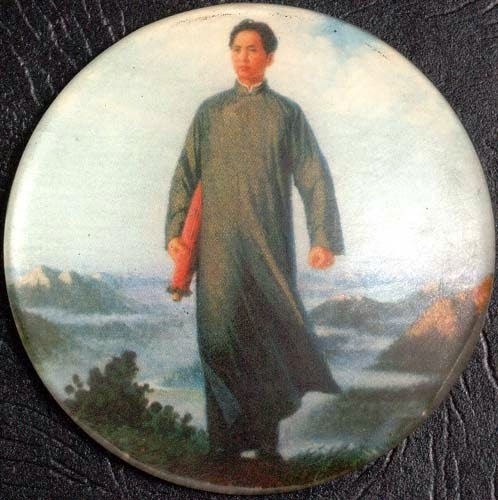 I personally think that pao quan gives us an approximate date for the formation of xingyiquan: some time soon after the invention of gun powder. Why should this have spurred the development of unarmed fighting methods? Precisely because hand-to-hand battlefield combat with weapons like swords became less relevant. This left the field open for hand-to-hand fighting arts to move into the civilian realm for defence and into culture as a form of dance/art/philosophical expression. I imagine that initially weapons such as the straight-sided, non-battlefield sword known as the jian were modified for civilian defence use as well as turned into dance-like art forms, but that unarmed forms followed soon after. 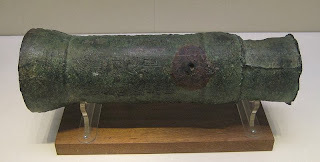 But what is significant is that, in each case, the unarmed "boxing" traditions of China were based on striking - cf. 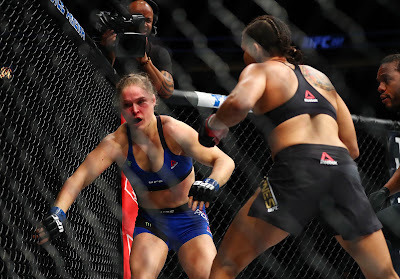 grappling which already comprised an existing system of unarmed fighting (whether on the battlefield or in sport). That is arguably why there are no "grappling solo forms"; they didn't form part of this tradition of "unarmed fighting descended from armed fighting". This translation of "arms" (in the form of weapons) to "arms" (in the form of "human arms") also accounts for why xingyiquan has virtually no kicks; aside from a low kick on the turn in beng quan, one has to go to the 12 animal forms to see any kicks at all, and even these are scarce. Another salient fact is that the basic "launch platform" - the stance - remains more or less the same: the principle battlefield spear or other weapon stance tends to be slightly backward weighted, just like the xingyiquan "zhan bu" - the battle step/stance. So how can we describe the xingyiquan zhan bu? Well, the feet are positioned so that the front foot points forward and the rear foot is off at an angle. The width of the stance is one of your feet (or one typical floorboard), while the length of the stance is anywhere from 1 1/2 to 2 shoulder widths. Your weight should be distributed slightly back from 50/50, but a slight lean forwards means the 50/50 weight distribution is restored. Why would a backward weighted stance be relevant for weapon fighting? Simply this: you want to be able to escape the optimum striking range of your opponent; being overly committed in a forward stance during weapons fighting doesn't leave you much time to avoid a powerful attack, nor does it give you stability and strength in your base. In fact, when receiving a powerful blow, your stance needs to be rock-solid in terms of attacks facing from your front. Sanzhan is the name of a form, not a stance. In that form there are typically 3 forward and 3 backward steps (out of Buddhist symbolism - for luck). This accounts for the "san" (3). The "zhan" is of course "battle". 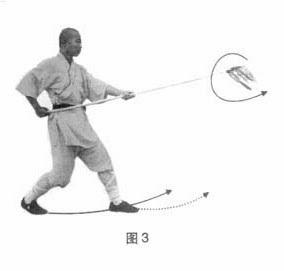 When describing the form, one could use the descriptor "sanzhan bu" (3 battle steps). And indeed many forms are named this way in China (see my articles "Numeric names of kata" and "The naming of sanchin"). 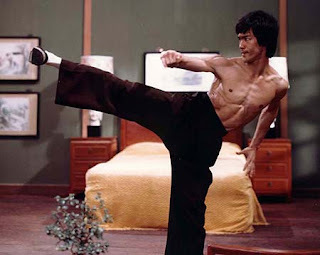 In arts like ngo cho kun, the "sanzhan stance" is known as "chien be" - Hokkien for "zhan bu". In Fujian, sanzhan most commonly takes the form of a stance that is substantially similar in appearance to the xingyiquan stance - only shorter. Compare the picture of my friend Martin Watts doing sanzhan and you'll see what I mean. In Okinawan karate, there is a similar stance in the older Suidi forms of seisan known as "seisan dachi". I think it is really more or less identical to the white crane sanzhan. While the Naha te tradition uses the "pigeon-toed" sanchin, it also has at least some tradition of a "seisan dachi" - which is to all intents and purposes a longer, xingyi-like stance that occurs in one move of the goju ryu seisan. While this might not be much on which to hang one's hat, I think that it might just establish at least some "cultural memory" of an older stance - one that was longer than both the modern "seisan dachi" in the Suidi tradition and the sanzhan of the white crane tradition. 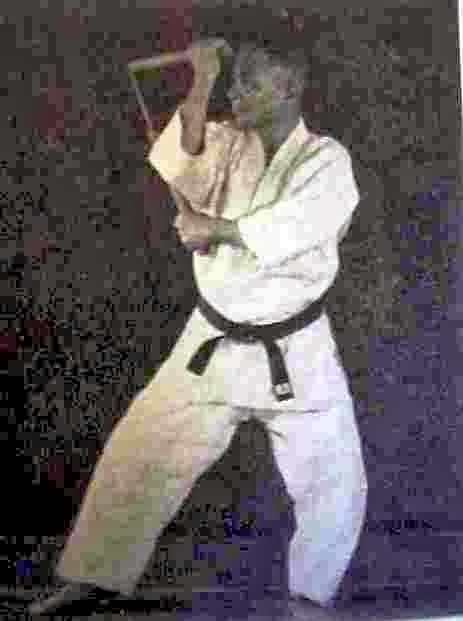 As you'll note in my video, I think an early sanzhan-like stance ultimately morphed into the pigeon-toed wing chun "A" stance in mainland China, in much the same way as it led to Naha te sanchin; the shorter the stance became, the higher the premium on turning the feet in for stability. So what's so special about the "zhan bu"? I've already foreshadowed that it is particularly useful in weapons fighting. In fact, one need only look at the parallel evolution of Okinawa's kobudo weapons systems to see how prevalent the back-weighted kokutsu dachi (a close counterpart to xingyiquan's stance) is. Furthermore, it seems clear to me that this "weapons stance" also made the transition early on into the unarmed fighting traditions of Okinawa (ie. "te" or "ti", which eventually became "tode" or "karate"). Why should a stance designed for weapons be useful in unarmed fighting? For precisely the same reason that it is useful in weapons fighting: it is extremely solid, providing you with a suitable foundation for intercepting and deflecting blows. Weapons blows carry a lot of momentum, so it is unsurprising that a stance like the reverse stance would come to be favoured for "uke" (receiving blows). The same is true (albeit to a lesser extent) of unarmed fighting, when facing a powerful cross punch: your stability is paramount in enabling a deflection. So the zhan bu is particularly stable in striking arts. Isn't it still a weapons stance that is arguably too long for unarmed fighting? Shouldn't some allowance be made for the absence of weapons? Indeed. 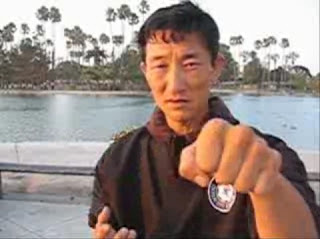 That is precisely why xingyiquan's stance is not really the same as the archetypal kokutsu dachi of kobudo and the Suidi karate tradition in Okinawa. For a start, the xingyi stance is shorter, bringing you closer to your opponent. 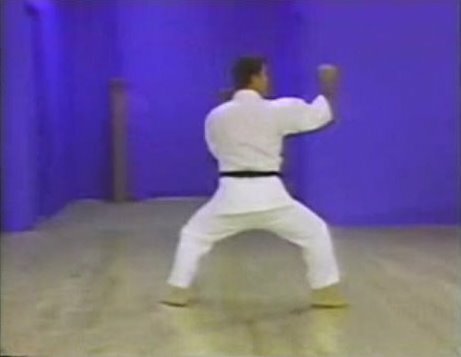 Second, the xingyi stance has a forward lean, restoring some of your 50/50 balance. Last, the xingyi stance has the hips facing forwards, not off to the side. In a sense it is like the boxer's stance, only slightly backward weighted. But the biggest advantage of the zhan bu in striking arts is simply this: it is nothing short of critical in keeping you out of grappling range, yet within striking range. I illustrate this in the video below: the stance, combined with the unique xingyiquan footwork, lets you close the gap to strike, while still keeping you sufficiently out of range to avoid being trapped by a grappler. Even if you are in range of being grabbed, the backward weight distribution/bias enables a quick withdrawal, where otherwise you'd be stuck. As I've previously highlighted, this is of enormous importance in civilian defence, where you generally do not want to be tied down with one opponent for any length of time. To me, the xingyiquan zhan bu - battle stance - is a fascinating stance; one that links you directly to ancient knowledge of the realities of fighting for survival; to a period where mankind was moving from warfare with hand-held weapons to firearm and other projectile weapons; a period when fighting systems were moving from the military to the civilian defence and cultural arts domains. 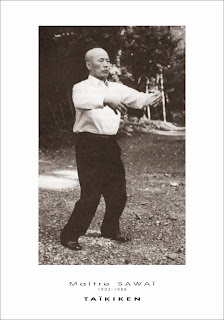 And the stance is not otherwise manifest in the other internal arts of taijiquan and liu he ba fa (if it does occur, it is only in the course of transition). 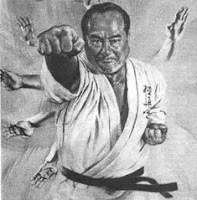 Last, despite my references to "seisan dachi" and "sanzhan", zhan bu is not really present (at least to any significant extent) in any external martial art. This makes the zhan bu stance in xingyiquan unique. It also makes it very difficult to teach. I've previously highlighted this when discussing my hybrid forms; it is easier to leave out the "zhan bu" than include it in any form that purports to borrow "xingyiquan principles" for a "combined platform". That is because, of all the methods of xingyiquan, the one that requires the most "rewiring of the brain" is the ability to adopt and use this stance. Yet at first glance, it doesn't seem all that difficult. Isn't it just a kokutsu dachi (reverse/reverse bow) stance? Yes and no. It is so similar that students of karate and other external arts - even taijiquan - unconsciously default to such a reverse stance. And if they don't do this, they default to a cat stance or even a forward stance. In fact, it is my experience that students tend to do anything but the correct zhan bu / san ti shi. And yet, to make the stance work in an optimal sense, you need to have a high degree of fidelity to the required form. When you do, the stance is remarkable; in my experience it constitutes one of the most subtle and effective ways of melee range fighting. And it simultaneously allows you all the freedom to expand into grappling if you want - or avoid it completely. In short, the zhan bu is so subtle it is what I would class as an "advanced technique" of the highest order. I've seen it reduce an entire class of seasoned practitioners of 30-40 years martial experience (in a wide variety of external and internal arts) to an untidy mess of uncertain steps and constant awkward readjustment. Inevitably my teacher, sitting on the sidelines, is shaking his head sadly. Only now, 17 years after I started studying the zhan bu / san ti shi, am I really feeling a modicum of comfort in this stance. 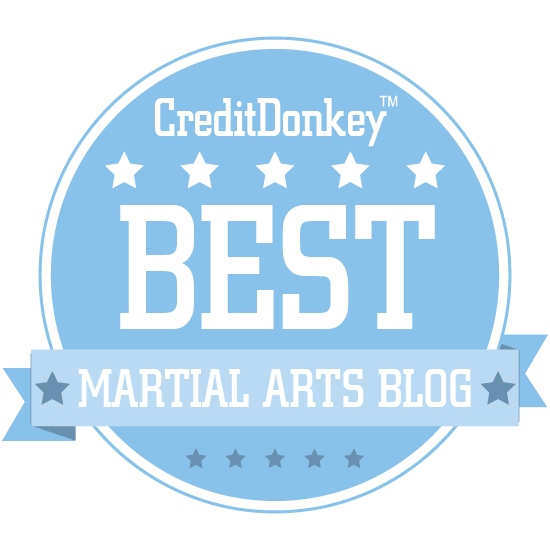 If in martial arts the subtleties are the hardest, yet most potent, parts to learn, there is nothing harder - and more potent - than learning the xingyiquan battle step. For me, it remains ancient knowledge of the highest order. Teacher chi: the path to the "dark side"